They have arrived! I have been wanting to get my hands on the new Danner Gila boots ever since I started seeing them advertised earlier this year. So far they seem legit and I’m excited to put them to the test! 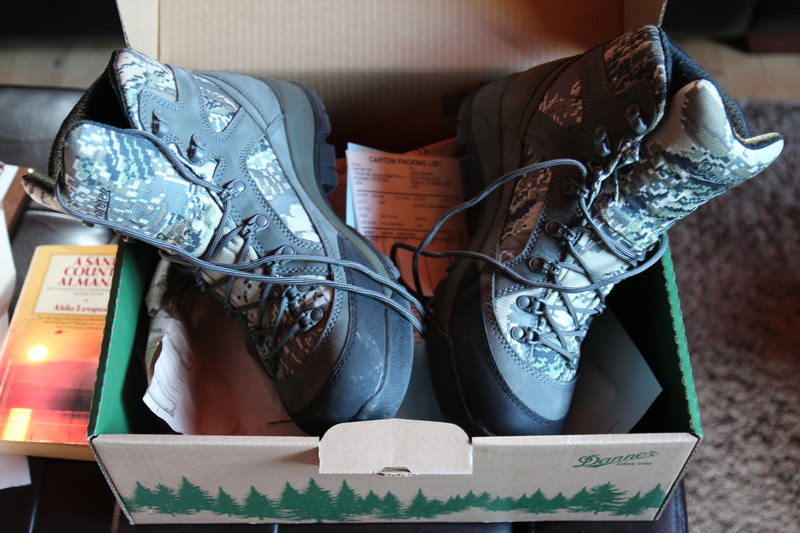 I’ve been on the hunt for a lighter weight boot to wear during the early seasons and may have just found the solution: the new Danner Gila. I’ve always been a fan of Danner boots, but until recently their designs were pretty limited and hadn’t offered anything along these lines. Last year I decided that I needed a lightweight and nimble boot, that was a bit “cooler” on the feet. Most full grain leather boots, regardless of being uninsulated or not, end up baking my feet during the warmer months. I’ve always shied away from boots that utilized mesh, or “synthetic” uppers and wondered if they would have enough support for technical terrain and be able to withstand the abuse that their full-leather counterparts can.